David Chilton, the author of Canada's all-time bestselling book, The Wealthy Barber has now released his second book The Wealthy Barber Returns. Chilton's unique combination of knowledge and humour helped to take the intimidation and dryness out of financial planning. His speeches aren't about just money. They're about believing in yourself, overcoming mistakes (many of his are truly hilarious) and, most importantly, they're about perspective - the missing ingredient in many people's lives. Dave Chilton is an economics graduate and in 1985 won the prestigious H.L. Gassard Memorial Award for achieving the highest score in the country on the Canadian Securities Course. Despite that, he's actually a funny guy. A dynamic motivational speaker, Chilton not only looks at the big picture, but at the individual tasks and risks involved in achieving success. Through his own intensely personal and compelling success story, Dave shows his audiences how the power of focus and perspective can change lives. Chilton is among the most sought-after speakers in North America. 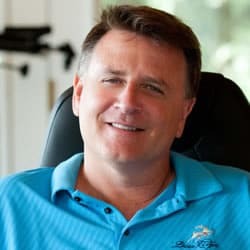 Bestselling author, entrepreneur and financial guru David Chilton shares his unique perspective on life with audiences. Dave has experienced both success and failure. He humourously illustrates how a healthy perspective can lead to positive results, despite what life throws at you. A Truly Unique Perspective is quickly becoming Dave's most sought after presentation. Dave has also hosted two critically acclaimed specials on PBS where the Chicago Sun-Times describes his performance as "charming, unpretentious, and funny." More recently Dave donned a new hat and published the low-fat cookbooks, Looneyspoons and Crazy Plates. They, too, have gone on to top national bestseller lists. David Chilton's recipe for success is hard work, a clear vision and some clever marketing. Whether it's helping thousands of Canadians achieve personal financial success or investing in low-fat cookbooks, David has always had a knack for recognizing great ventures from the get-go. David partnered up with the Podleski sisters to take on the multi-national, billion-dollar food industry. As their company president and publisher, David has helped the Podleskis turn their idea of low-fat cookbooks into an award-winning food company. The Podleski cookbook, Looneyspoons, is now one of the fastest selling books in Canadian publishing history. Hear this true David versus Goliath story from the inspiring, funny and entertaining David Chilton. The book The Wealthy Barber has accomplished a "publishing impossible" by selling over 2 million copies in North America. More than ten years after it was first published it still appears regularly on bestseller lists. The reason for its sustained popularity? It provides financial education in an entertaining and understandable format. The Wealthy Barber is not full of new techniques, complex strategies, nor get-rich-quick-or-even-semi-quick schemes. Instead it focuses on the financial planning basics that, over time, have proven to be effective. It's primarily common sense - common sense that, unfortunately, in our society is not common knowledge. By using a "novel" format and strong doses of humour, Chilton has taken the intimidation and boredom out of the financial-education experience. Dave's speech delivery does not fit the stereotype of a dry financial expert. The Chicago Sun-Times said it most succinctly when they stated "Chilton is charming, unpretentious and funny." "Wonderful!! I had no idea he was this funny!" Fire Engine Inc.